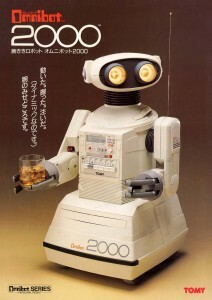 When I was a kid I remember getting really exited about this amazing robot, The Omnibot 2000. It could supposedly do all kinds of amazing things. My eleven year old imaginination fantasized about a world where my Ominbot would fetch my drinks and do my chores…a brave new world indeed! ¬†I never did get an Omnibot, but if I did, I bet the feeling of disappointment that eleven year old me would have felt is pretty close to how I feel now about Google Translate. When Google translate was first announced it was seen as a potential boon for E-Commerce sites and with their new Google Translate widget it seemed like a “no brainer” for any website with an international audience. So, I recently embarked on a feasibility study for our website to see if our customers could benefit from computer translated content. Google translate cannot handle Secure Socket Layer (SSL) pages. SSL is a necessary step in protecting your users during the checkout process and Google translation services can’t handle it. This has to do with how Google Translate actually works. Google basically scrapes your site, does a find and replace to translate the text, and presents the results on their servers. Secure socket layer is meant to make whatever is happening on the page private between your visitor and your server, so if the page is trying to load on a different server the connection fails. Okay, so visitors can’t have the check out process translated into their native language. That puts a real damper on improving eCommerce. Maybe translating the product pages and the rest of the site will provide them with enough information that they would be willing to stumble through an english language checkout. All I would need to do is implement the translation widget and have it exit if the visitor clicks on a link to our store. Surely Google provides some documentation on how to programatically exit a visitor out of Google Translate. Actually, they don’t. I’ve read through all of the documentation and even put in repeated calls to Jeff Chin, the Google Translate Product manager but he hasn’t returned my calls. At the end of the day, this really comes down to offering features and services that are going to improve the user experience of your visitors. Unfortunately, if you have an eCommerce site, or any secure location on your site, Google translate is completely out of the question. Unless you’re okay with your visitors getting a Google error messages. Hopefully Google has something in the works to address this problem but in the meantime make sure you let them know this is something that you care about. I would love to hear you’re thoughts and experiences with trying to implement Google Translate on your own site.